Processed Foods and Anti-Nutritional Results: Say What? Please note that they clearly make the distinction that suboptimal intake of vitamins results in ‘insufficiency’ states that lead to chronic disease. Can’t get much clearer than that. Along with avoiding the consumption of ‘anti-nutrients’, it is probably a great idea to take a good multi-vitamin and mineral supplement daily. At least that is what the science says…so, what’s in your tummy? 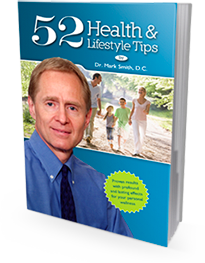 Dr. Smith's 52 Health & Lifestyle Tips E-book.